All the Nuggets enjoy a life-sustaining relationship with their star. 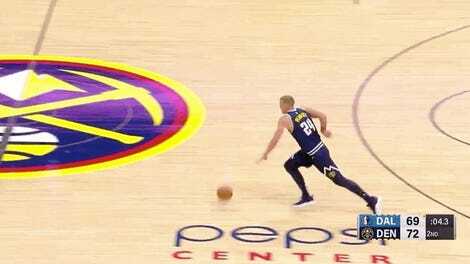 Witness the Denver offense at its best when the wings are satellites orbiting around their big soft sun, Nikola Jokic. He hangs doughy and resplendent in the high post, watching them whirl and cut, waiting for them to align just right so he can beam them nourishment in the form of blasé dimes. 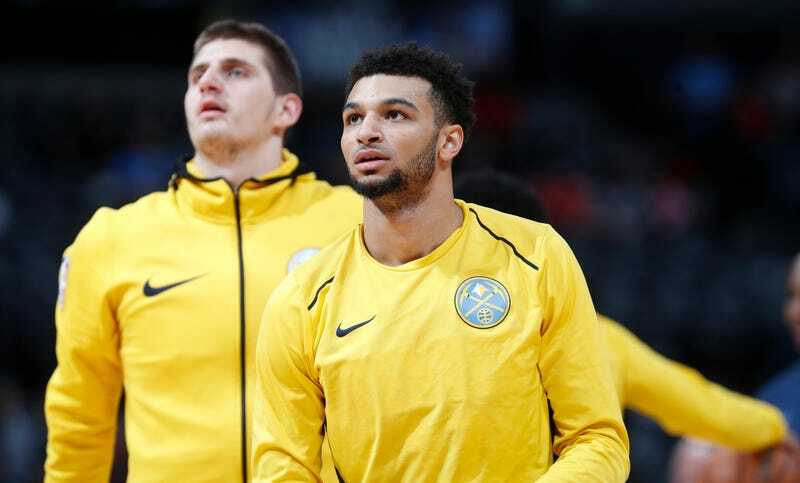 The whole team benefits from his vision, but the connection between Jokic and zippy point guard Jamal Murray is especially pure, and they have become perhaps the most psychically-linked duo in the league. Of the 273 assists the big man has racked up on the season, a full 72 have gone to Murray, making him far and away Jokic’s favorite target on the roster. Almost every one is a tiny joy. The Jokic-Murray two-man game is a happy engine for an offense. Since Murray can get so creative with his paths of tearing around screens, and since both are willing and able shooters from deep (Murray’s cold start to the season notwithstanding), they can be extremely difficult to shut up. At their best, the two spend entire games buzzing around within mere feet of each other, like a pair of dragonflies getting busy over a lazy creek.